... and Óhneigr(? ), they had this stone marked in memory of Hrókr, their brother ... Auðbjôrn(?)/Viðbiorn(?) cut. 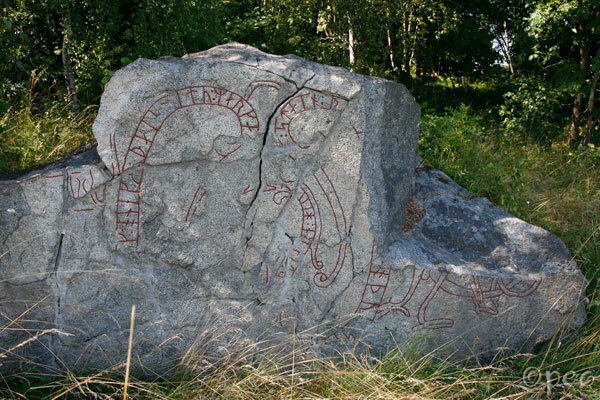 Much of this rune stone is destroyed, but the pieces that were found has been put together again.